Your kids will develop important movement skills all while having fun at this Parkour class for children ages 3-6. Kids will learn obstacle manuevering, climbing, rolling, balancing, and landing techniques. At the Tuesday class parent participation is optional for students who have demonstrated the ability to follow simple directions on their own. This is a Parkour level 1 class that is designed for children ages 3-6. 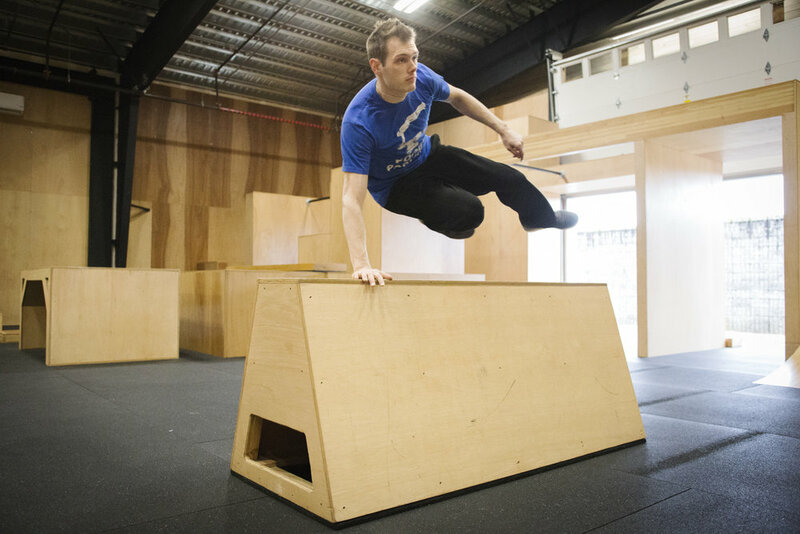 The coach will teach the basics of Parkour scaled down to fit the needs of younger students. Parents/ Guardians will assist their kids as they learn vaulting, climbing, rolling, and landing techniques. Parent/ Guardian participation is required. Parents/ Guardians get into the class for free with the purchase of a class for a child. There must be 1 parent/ Guardian per child participating.